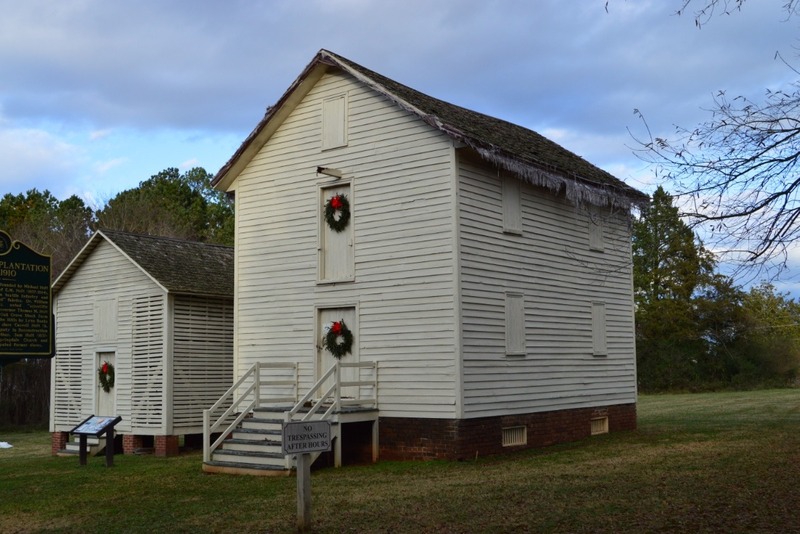 The granary at the Alamance County Historical Museum is in danger of collapse. The historically correct shingle roof has deteriorated and now allows water to enter the building damaging the structure and part of the museum's collection. Inspection has shown the main floor bean is also fractured, thus creating additional destabilization. Proper repair and preservation have been estimated to be $40,000. Cuts in Federal and State grants have forced us to extend our request for funding outside standard procedures. Our museum is a 501 (c) non-profit. All donations are tax deductible. This granary is an important structure for many reasons. It links to local agricultural, architectural, and textile history. The museum consists of a few acres of what was once Oak Grove Plantation (ca. 1790-1910), a 1,693-acre grain farm owned by three generations of the Holt family, who were pioneers in the southern Textile industry and developers of "Alamance Plaid" fabrics. While textiles made the Holts one of the wealthiest families in N.C., their initial prosperity was agriculturally based. Throughout the 19th century Oak Grove's primary crop was corn. Corn was an essential component of the Piedmont diet, it was relatively easy to plant and cultivate, and it was well adapted to the hot, sultry weather of the Carolina Piedmont. Corn provide relatively high yields and could also be used as feed for livestock, which ate cured corn, as well as the "blades"and "tops" of the plant itself. In 1854 Oak Grove raised 326 acres of corn. 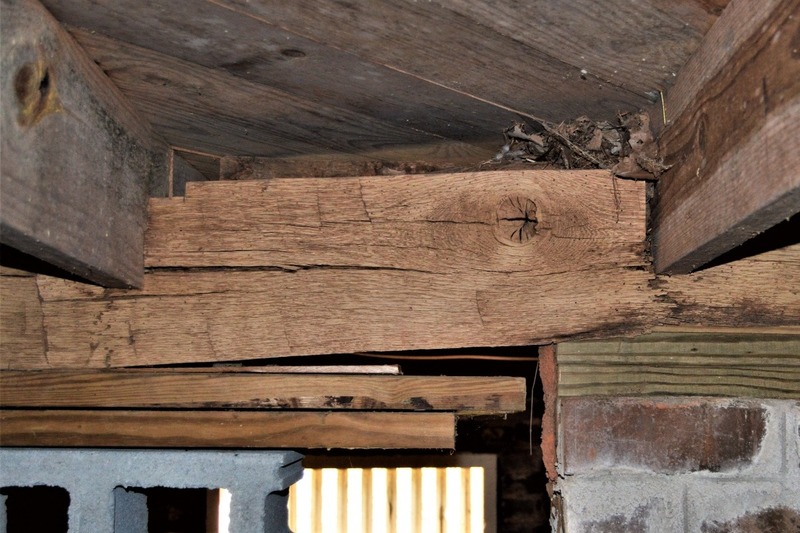 The granary, built in 1872 by local vernacular builders John and Emsley Coble, features mortise and tenon joinery and other building methods common to the area during the mid-1800s. It was used primarily of storing sacks of wheat, oats, and cornmeal. The Holt diaries tell us that wheat was usually harvested in July and August. In 1854 the wheat harvest at Oak Grove resulted in 3,454 bushels. During the same period the oat harvest produced 4,000 shocks, which then yielded 2,857 bushels of oats. Corn for human consumption was ground into meal at the Holts' grist mill located 1 1/2 miles north along Alamance Creek. More information about Alamance County Historical Museum Inc: The Alamance County Historical Museum collects, preserves, displays and interprets records, relics and artifacts which contribute to an understanding and appreciation of the historical development of Alamance County and the North Carolina Piedmont. The Museum documents the area’s nascent textile industry (1837-1920), and interprets 19th century farm life through the preservation of Oak Grove Plantation, a property listed in the National Register of Historic Places. The Museum enhances public awareness of local and national history through sponsorship of public educational workshops, lectures and tours. We have started a new campaign to save the 1872 granary building.